This column was originally published in The Daily Tribune on September 21, 2003, when my son Nate was a senior at Shrine Catholic High School. It’s also included my memoir collection, Writing Home. 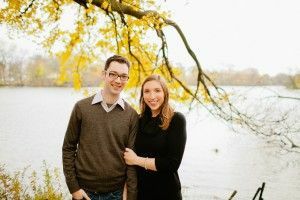 This week, Nate celebrated his third year of marriage to Andrea, the young woman mentioned in this column. From baptism to bar mitzvah, rituals and rites of passage honor the milestones in our lives. Certain rituals are so closely tied to autumn, in fact, that I cant imagine the season without them. Raking leaves, visiting cider mills, and digging woolens out of storage are just a few. But the annual high school homecoming dance crowns them all. At our house, as surely as the maples shed yellow leaves on the lawn, this semi-formal event kicks up a whirlwind of activity and emotion. Some of it is not pretty. Because I am the mother of a son, my homecoming rituals do not include shopping for the ultimate evening gown and the perfect shade of nail polish. Admittedly, I miss playing Fairy Godmother to Cinderella, so I live vicariously through other moms who have teenaged daughters. Thats how Ive learned that things are different with boys. The angst level, for instance, is much lower in the wardrobe department. Guys dont worry about their hair, and they dont have to obsess over finding a purse to coordinate with a pair of shoes that will be worn only once. Traditionally, a boy waits until forty-five minutes before the big event to consider whether or not his dress shirt needs to be unearthed from the closet floor. (This is based on the assumption that he owns a dress shirt.) At that point, all hell breaks loose, sending his beleaguered parents in search of an ironing board while the boy hunts down a pair of matching socks. He also waits until the final hour to announce that his good suit has cake frosting on the lapel â€“ a souvenir from the last semi-formal event he attended. Homecoming rituals will test any parents mettle, but I believe Im a sturdier person because of them. Last year, a week before the big dance, we drove Nate to Nordstrom to shop for a new shirt and tie. Anticipating conflict, I backed off and let him sort through the merchandise with his dad. I tried to keep quiet â€“ until I spotted a handsome gold dress shirt that was perfect for his black suit. Seconds later, Nates cell phone rang. It was Andrea â€“ a young lady with impeccable fashion sense. Andrea happened to be shopping in the area and would come to his rescue. She would help him find the right shirt. As I type this, the next homecoming dance is a week away. Just as I did last year, and the year before that, Ive reminded Nate to ask a date in advance. Once again, Ive explained how girls need time to shop for dresses and book hair appointments. 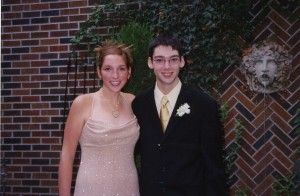 And just as he did last year, the kid kept his plans under wraps until he needed advice on ordering a corsage. As it turns out, Nates date this year is Andrea, the sharp young lady with good taste in mens shirts. Thinking ahead last week, we bought Nate a new shirt and tie to co-ordinate with her dress. Thank goodness, Andrea approves. Meanwhile, I am not taking any chances and have dropped off the black suit at the dry cleaner. This is senior year, after all, and weve finally learned the steps to the homecoming dance. Writing Home is available on Amazon (use the link at the top of this page). It has been one long year since my mother died. On the first anniversary of her death, September 13, I am reposting the eulogy I wrote for her. In loving memory of Carlesta (Geisel) Gullion, the following was read at her memorial service on September 16, 2014. When you’re deep in the trenches of caring for a parent who is battling advanced dementia, it gets harder with each passing year to remember the heart, the core, of the person he or she used to be. The mother who drove you to the pediatrician becomes a child who requires an ongoing series of medical appointments and countless trips to the hospital. The father who once provided wisdom and advice can no longer make decisions about his own finances or even choose a brand of toothpaste. The mother who once cooked and hosted holiday dinners can barely hold a fork to her own mouth. So, you find yourself at war with your own conscience, fighting sadness, anger, pity, denial, fatigue, and frustration. And then you feel guilty for feeling all of those feelings — because you remember that your mom or dad would never in a million years want to send you on this part of the journey. Of course, nobody is ever truly prepared for The Phone Call — the final phone call that carries the mixed blessing. The phone call that announces Mom or Dad is finally at peace or “at home” in a better place. 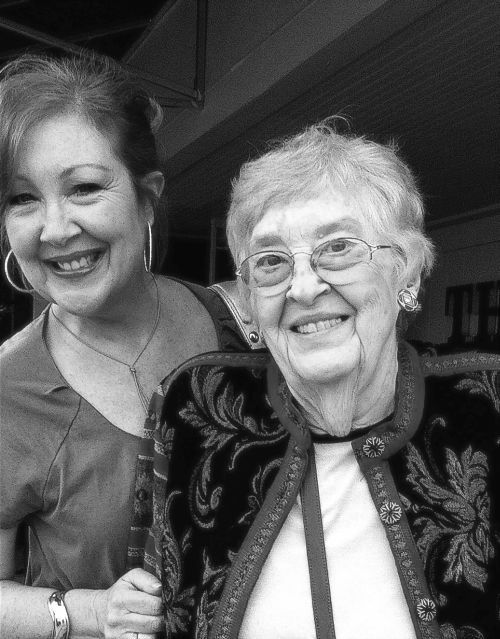 Like everyone else who loses a parent and goes about the somber business of making funeral arrangements, I used the time between that phone call and this funeral to reflect on earlier memories of my mother. And for the first time in a while, I forgot about my mother’s debilitating illnesses and remembered instead the beautiful heart and generous soul of Carlesta Gullion — the person my mother was before she lost herself and her memories to vascular dementia. All at once, my feelings of sadness, guilt, and frustration gave way to a much larger emotion that has guided and comforted me throughout these past few days. That emotion is gratitude. Looking through sepia-toned photographs of my mother as a young girl, I remembered many of the stories she shared with me about her difficult childhood. Carlesta’s father had abandoned her own mother before she was born, and later on, her mother and stepfather both struggled with alcoholism. But there were happy times too, and Mom shared those stories just as freely. She wanted me to hear about her maternal grandparents, who took care of her during the Great Depression while her mother worked. In her teens, Carlesta reconciled with her father — and even grew close to her new stepmother. Mom also loved to tell me about her loyal collie dog, Sonny, and the carefree times they spent playing in her grandparent’s English Tudor house by a river in Indianapolis, her hometown. And she often shared stories of her beloved Irish grandfather — a watercolor artist and a great character whose creative talents she inherited. Recalling the early challenges she had as a kid, I can’t help but feel incredibly grateful for the happy childhood my mother gave me. She was determined to create the stable home and family that she always wanted, and I have always been proud of her for accomplishing that. Among my earliest happy childhood memories are the times I sat next to Carlesta on the living room couch, or in bed, with a picture book propped in my lap. We’d read aloud and laugh through the sing-song stories of Dr. Seuss, who was a distant (Geisel) cousin of Mom’s. Thanks to my mother, I learned to read before I entered kindergarten, and literature became a guiding light throughout my youth. I’m grateful that she chose to marry Bill Gullion, who was the dearest and most reliable father any child could hope for. My dad was born to a sturdy pair of Scottish immigrants, and they were the anchors of my mother’s new family in Detroit. I like to think that the fine example set by my parent’s marriage — which lasted 42 happy years until my father died — has been a loving influence in my marriage to Doug La Ferle, the love of my life, and my rock. Carlesta often told me she couldn’t have asked for a finer son-in-law than Doug. She was proud of Doug’s talents as an architect and artist, and she regarded him as her own son. Likewise, Doug helped me care for her as if she were his own mother. 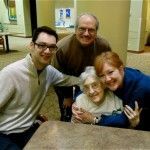 During Carlesta’s long illness and its many complications, there were countless times in the hospital and in the nursing home when Doug gave her the comfort and reassurance she needed after I had lost patience as her caregiver. Surely there is a special place in the heart of heaven for spouses like Doug. As an only child, my mother also had a close relationship with her sister-in-law, Chris Gullion, and the two of them took turns hosting many holiday dinners over the years. Having come from such a small family, my mother frequently reminded me that good friends are a family one chooses. When I was growing up, she often advised me to choose my friends carefully. Teaching by example, Carlesta maintained many of her longtime friendships, some dating back to high school. She was also a member of a stock club, PEO, and the Starr House Guild. I am deeply grateful for all the times my mother helped me become a mother after my son Nate was born. Carlesta loved her grandson more than the world, and I don’t think she ever refused when I asked her to babysit him. Just as she had done for me, my mother created many happy memories for Nate, and she couldn’t have been more proud of all his accomplishments. Such was her love for her only grandchild, in fact, that she became a Notre Dame football fan while he was a student at the University of Notre Dame. Mom wasn’t remotely interested in sports before then — so this was a testimony of their relationship. Going through Carlesta’s papers recently, I found dozens of cards and letters from Nate, which she had lovingly saved, in just about every drawer in the house. My mother worked as a freelance color artist for several photography studios — including Bill Williams in Royal Oak — throughout my childhood and teen years. 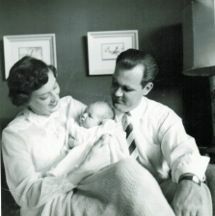 She was among the first work-at-home moms in the late 1950s and 1960s, setting up a home studio in our family room. 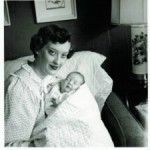 Later on, when I began my own career as a freelancer writer, I had my mother to thank for teaching me how to strike a balance between work and family. What a role model I had! I remember coming home from school as a kid and finding my mother at work at her easel, leaning over her photographs and mixing her oil paints. She always had time to listen as I shared the highlights or low points of my days at school. I am forever grateful for that too. As I type these thoughts, it occurs to me that what defined my mother more than anything was her reverence for home. Though it’s a very a small word with just four letters, “home” meant everything to Carlesta. Home was a refuge and a sanctuary. To her, the word encompassed the people inside its walls — family and friends — as well as its gardens and furnishings. Inspired by our family’s many road trips to historic Williamsburg, Virginia, and New England, she collected antiques and decorated every room in the house with treasures from our trips. With her gift for hospitality, she entertained with style and care. She brought beauty to everything she crafted, whether it was a birthday party for a large group or a planter on the front porch. Making a home was an art form. 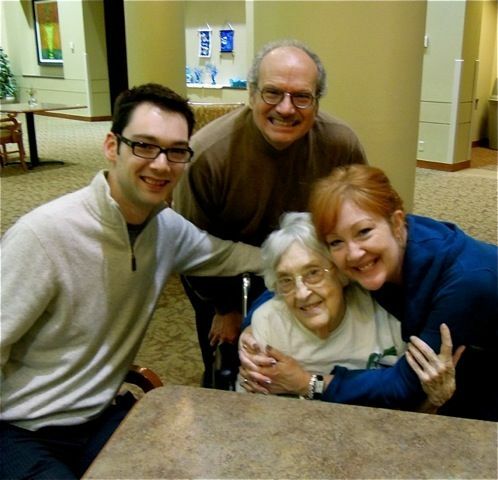 Once dementia had incapacitated her, moving Mom out of her beloved Royal Oak condo and into a nursing home was, by far, the hardest and most heartbreaking thing I’ve ever had to do. All said and done, of all the gifts my mother has given me — including the gift of life itself –I am most grateful for that abiding love of home. This occurred to me not long after I learned that she had died. At the time, Doug and I were on the last day of our vacation. As soon as we got the call (at 5:45 on Saturday morning) we packed everything as quickly as we could and headed down the dark highway back to Royal Oak. It was the longest drive I’ve ever taken, though I don’t think the reality of my mother’s passing had really taken hold in my mind. But finally, as we turned down Vinsetta Boulevard and our own house came into view like a mother with arms opened wide, the tears came and I felt embraced by something I can only describe as boundless gratitude for my home, my family, and this community — the roots of which my mother had planted inside me years ago. My father, who passed away in 1992, had always found comfort in the Bible passage (John 14:2), “My father’s house has many dwelling places.” It was read at his own mother’s funeral. When Dad died, I asked a pastor to read that verse in the eulogy I wrote for him. And so, with a full and thankful heart, I hope my parents have found their place together in the house with many dwelling places, and that they are, finally, at peace and at home. 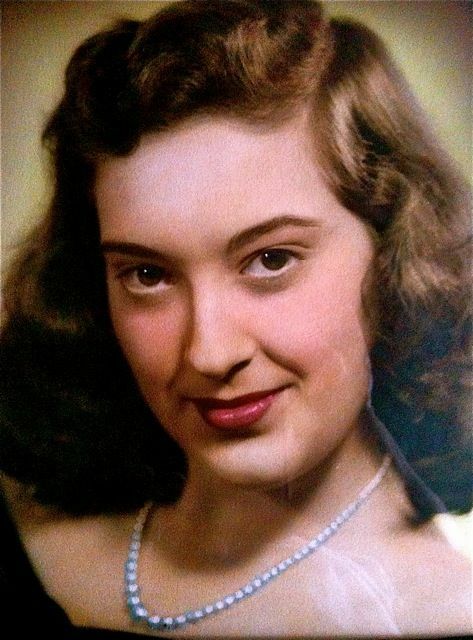 Carlesta Gullion’s obituary is posted here. More than ever, experts agree that helicopter parenting — or over-parenting — is resulting in serious problems for young adults. Are we raising a generation of “boomerang” kids? Why are so many young people afraid of taking risks? 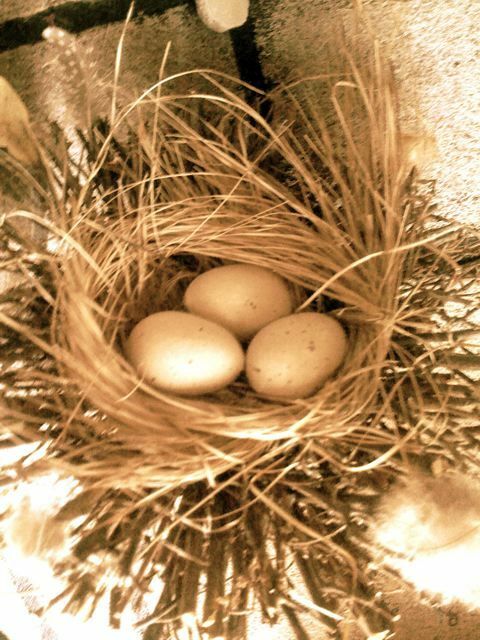 And why do today’s parents dread the empty nest? In my newest column for Michigan Prime, I offer a personal view on this issue — and I recommend a brand-new, important book on how to avoid the pitfalls of over-parenting. Look for the print edition in your Sunday Detroit Free Press, or click here to read the column online (page 4).